High Point University continues to grow and thrive as an institution of higher learning. With 4,600 students representing all 50 states and 37 countries, HPU is making a significant global impact. This year, U.S. News & World Report recognized HPU for the sixth year in a row as No. 1 Best Regional College in the South as well as No. 1 Most Innovative Regional College in the South for the second year in a row. These accomplishments are possible through the support of alumni, families and friends of the University. 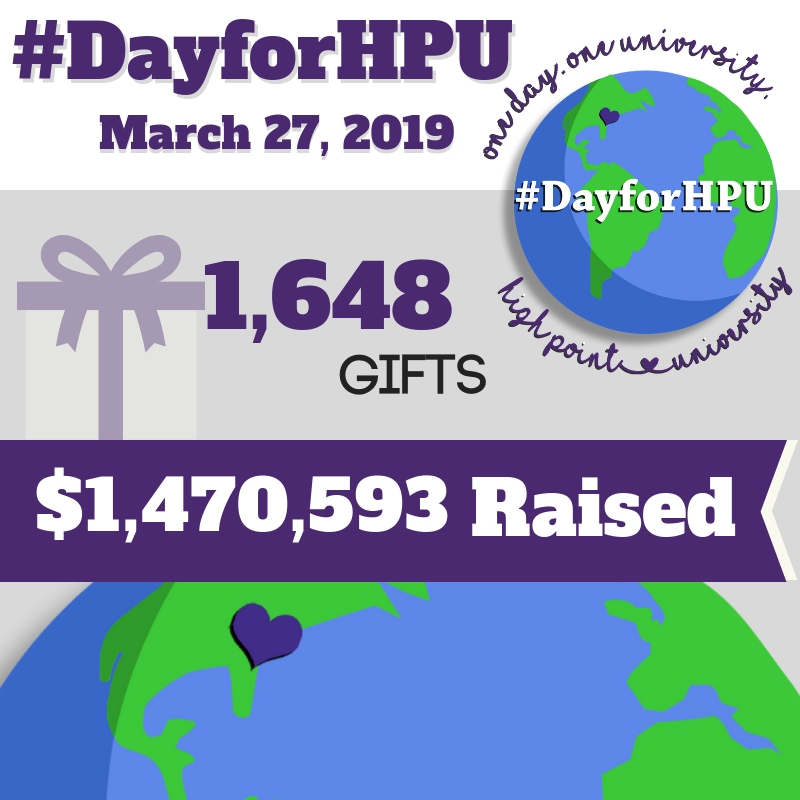 Our online community is available to HPU alumni, families and friends to stay engaged with the University, promote fellowship, cultivate leadership and provide financial support. Please create an account to update your profile and personal information with HPU. You will also find access to Community Engagement pages, additional features and information regarding special events and promotions. *High Point University is a registered 501(c)(3) non-profit organization. Gifts to the University are tax-deductible to the extent allowed under Federal Law and IRS tax code. Please consult your tax or accounting professional for further guidance.